With more than 80 percent of West Nile virus cases reported from six states (California, Louisiana, Mississippi, Oklahoma, South Dakota and Texas), Oklahoma ranks as the second highest, reporting 1,118 cases as of Aug. 21, according to the Center for Disease Control. The next most dangerous outbreak has been whooping cough, also known as pertussis, with more than 18,000 cases nationwide this year. In Oklahoma, there have been 28 reported cases as of Aug. 6, according to the CDC. Kristen and Dustin Smith of Elk City lost their 7-week-old son Aiden to whooping cough July 16. All deaths caused by whooping cough this year have been infants. Lisa Teel, Emergency Planning and Risk Management director, said in an email she was not aware of any cases being reported of either West Nile virus or whooping cough at OCCC. According to Teel, OCCC has a procedure in place in case an outbreak of either of these or any other virus were to occur on campus. This can be found on the employee webpage, www.employee.occc.edu, listed under policies and procedures. Steven Sacket, a doctor at Deaconess Family Care, shed some light on the symptoms, treatment and prevention of both West Nile virus and whooping cough. 1. Dusk to dawn – Mosquitoes that carry WNV are most active during these hours, so if you must go outside always take precautions. 2. 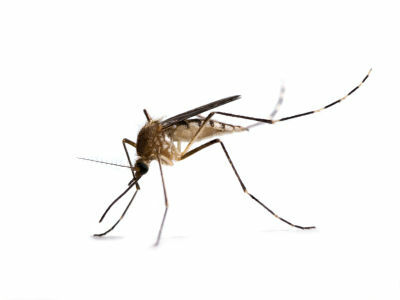 Dress – Wear long sleeves with cuffs and long pants whenever mosquitoes are likely to be biting. Tuck your pants into your socks. 3. DEET – Use an insect repellant containing DEET on exposed skin. 4. Drainage – Check regularly around your home for any water accumulation that could provide mosquito breeding grounds. For pools, hot tubs or water features, OCCHD recommends that residents “cover, drain or maintain” these water sources to eliminate mosquito habitat. DEET is the most widely used active ingredient in repellants worldwide and is unequalled when it comes to keeping mosquitoes, ticks, and other bugs away, according to www.deet.com. Sacket said it’s important to avoid coming into contact with anyone who has pertussis, better known as whooping cough, so termed by the sound made after the end of a coughing fit. If pertussis is not treated correctly, between the second and sixth week the symptoms turn more into flu-like ones with vomiting and fatigue, Sacket said. “After that stage, the cough lessens and your body starts going back to normal,” he said.